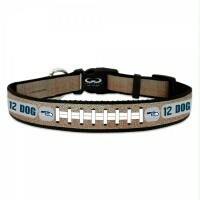 Great for cats and ferrets. 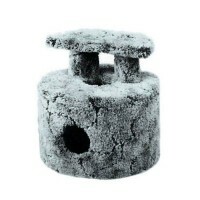 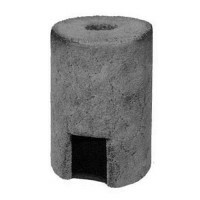 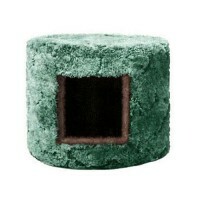 This cat Igloo has a 12" high main body by 13" inside diamete..
Great for cats and ferrets. 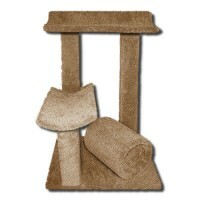 The pet Snugglebox is a cozy little hideaway for your kitty or your fer.. 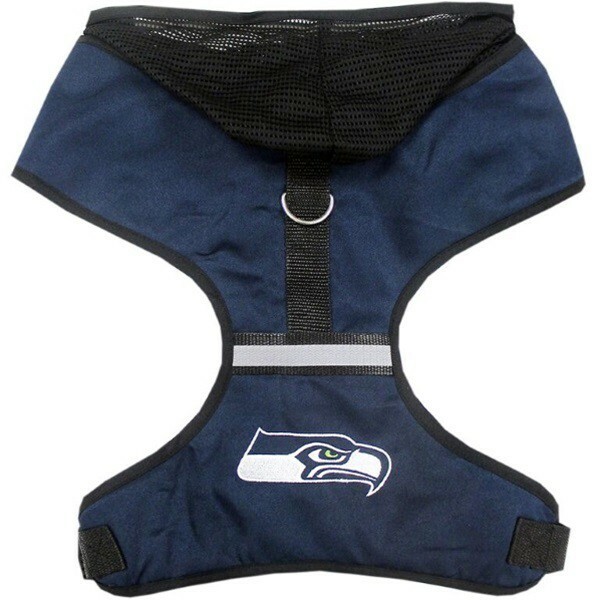 Your pet will be the cool pet on the block with this officially licensed NFL padded hooded dog harness featuring team colors, an embroidered team logo on the back and a reflector stripe for safety. 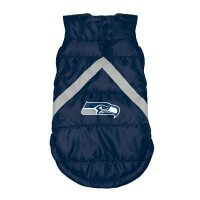 The hooded harness is made out of lightweight padded soft twill material and flexible padded air mesh to allow air to flow through so your pet stays cool. 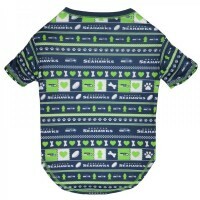 This officially licensed Seattle Seahawks Novelty Pet T-shirt is a great way to show off for any gam..
Let your pet show some team spirit in this stylish adjustable Seattle Seahawks Argyle Pet Collar by .. 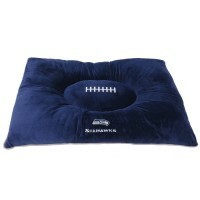 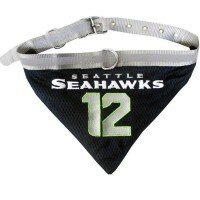 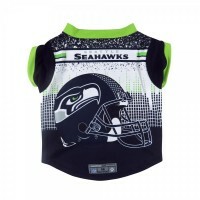 Your sports fan dog will proudly wear this Seattle Seahawks dog collar bandana. Full-color team are ..
Show your team spirit and keep your pet safe with this Seattle Seahawks Reflective Football Collar f..